Spa building and gambling casino, built 1859 by Paul Bouvier. Rebuildings in 1898-1899, 1902. 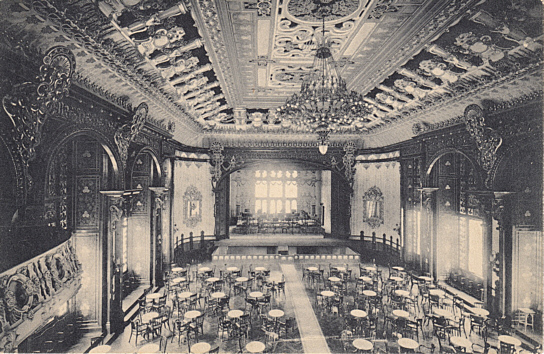 1909-1910 addition of a large concert and theatre hall. 1980 addition of a congress centre. Reverse Text: "Interlaken - Theatersaal im Kursaal"